Fantasy and Historical novels have something in common: they often have a large ensemble cast of at least a dozen main characters, with up to hundreds of secondary characters. Writing a large cast of characters presents some specific challenges: how can the writer make sure each character is distinct from the others and fully realized? (Please note I’m not talking about the use of multiple points of view here: I’m only discussing managing a big ensemble cast). With the fourth season of Game of Thrones being aired this month, you may be surprised that I haven’t chosen it as an example to support my argument. Although GoT does have a large ensemble cast, it circumnavigates some of the challenges of writing a large cast because all the main characters are in separate places. Today I’d like to give a few pointers about writing a large cast of characters who are all in the same place and are forced to constantly interact. I wanted to use HBO’s Deadwood (aka My Favourite Show of All Time) but I realize this show was cancelled in 2006 and you may not have seen it. Therefore I’m going to use a far more recent example: Starz’ Black Sails, whose first season aired in January (side note: this show isn’t censored and the viewer discretion is advised). It’s a prequel to Robert Louis Stevenson’s novel Treasure Island. I’ve been careful not to include spoilers here. Black Sails introduces us to a cast of 11 main characters and more than 30 (named) secondary characters. They are all in one place: New Providence Island (West Indies) in 1715. How do the writers of the show manage to make us recognise each character and care for their fate? And how can you do the same in your Work In Progress? The key here is to give each main character his own name, his own way of speaking, his own look (clothes), his own motivations (reasons to be in the story) and his own plotline or “story arc”. What can be helpful is writing an “ID card” for each character before or while you’re drafting: that way you can keep track of each detail and refer to the character’s card for consistency. In Black Sails, Eleanor Guthrie is one of the key characters, and she ticks all the above boxes: her speech, her clothes, her hairdos, her goals and her story arc are completely specific to her and she can’t be confused with any other character. 2) Organize your key characters in groups and don’t introduce them all at once. The characters in Black Sails can roughly be put into 3 groups: one led by Captain James Flint, one led by Eleanor Guthrie and one led by Captain Charles Vane. Of course, these groups aren’t set in stone: as the story develops, people mingle, allegiances shift, etc. But these groups are a great way to introduce all the characters at the beginning: a reader or viewer can’t memorize the names of 20 characters in one chapter or one episode. However, what they can do is identify a few main characters and the group around them. At the end of the first episode of Black Sails, I couldn’t tell you more than a couple of characters’ names. I could, however, tell you that Captain Flint was the main lead character, that his goal was to find a Spanish treasure galleon, and that his crew consisted of a nice and wise quartermaster, a handsome first mate, and a clever cook with a secret. Having a large cast of characters is a golden opportunity to introduce characters with diverse cultural, religious and ethnic backgrounds, from different age groups, with various sexual orientations or with disabilities. 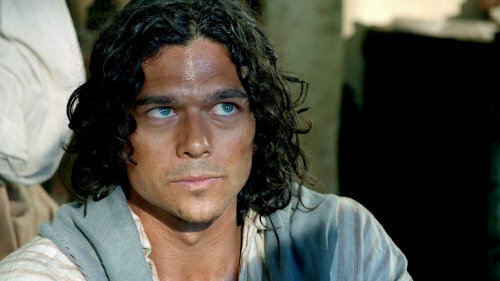 Black Sails makes quite an effort to introduce diversity in its cast of characters. In 8 episodes, these topics weren’t fully developed, but there’s room for some interesting characters’ development in the seasons to come. With a large cast of characters, it’s important that each one is fully fleshed out, with qualities and flaws. To make them as human as possible, it’s necessary to have them make good AND bad decisions, experience a wide range of emotions and be both strong and fragile. If you check out Black Sails on Tumblr, you’ll see the premise of a fandom taking form. And among all the people who watched the first season of the show, you’ll see there are people who love Flint. Other people who hate Flint. People who love Vane. Other people who hate Vane with a fiery passion. People who love Max. People who can’t see why Max is even in the show. Etc. Etc. The reason all these people can’t seem to agree or make up their mind is because these characters are complex enough that you can’t really love them or hate them. There are no heroes and no bad guys. Let’s take Charles Vane as an example. This character is introduced as a villain. In the first couple of episodes he manages to kill a nice (elderly) secondary character, to punch Eleanor in the face and to beat up Max. So what writing device turns this cruel, murdering pirate into a complex character we actually care about? First, he has friends. Well, one friend, at least. This shows us others do see more in him than what he appears to be. Secondly, he rarely gets his way. For someone who’s willing to do anything to get what he wants, he actually rarely gets what he wants. That makes us sympathize with him, somehow. Finally, he’s in love with a girl who doesn’t love him. That’s always relatable. 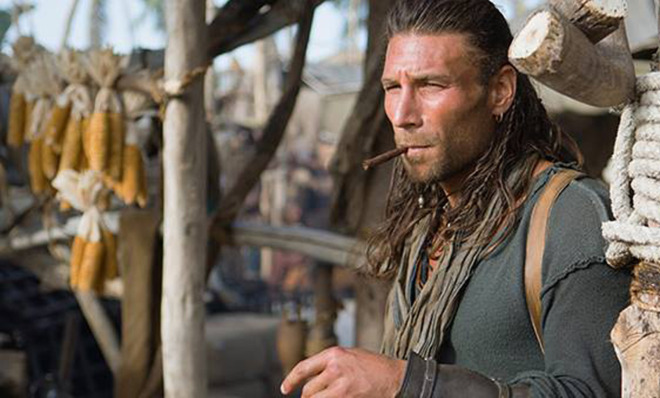 As a result, by Episode 6, you sort of like Charles Vane, with his flaws and his “no one understands me” attitude. Right? But he wouldn’t be a complex character if he was just this misunderstood guy. So in Episode 8 (the last in the season), the writers have him back to his old ways and you’re back to shouting at your TV screen and wondering if he’s-going-to-kill-everyone-oh-my-I-can’t-even. My final advice when writing a large cast of characters is to remember to show them to the reader, not tell the reader about them. We need to understand who these characters are and to make up our mind about them through their actions, not because we’re told about them. In Black Sails, Long John Silver is a good example of a character we aren’t told much about. We don’t really know who he is, where he came from and what his backstory is. We do, however, get a really clear idea of what kind of person he is through his actions. By the end of the season, we know he’s an opportunist, a liar, a thief, a terrible cook, a very clever man and the Most Likely To Make It Out Alive of the show. That’s characterization well done. So tell me: have you included a large set of characters in your manuscript? How did you go about it? Most importantly, have you watched Black Sails? Feel free to leave me a comment below! This entry was posted in About writing and tagged Black Sails, characters, EM Castellan, fantasy writer, historical novel, large cast of characters, writing, writing tips. This post resonates with me as I have just finished writing a book with the largest cast of characters I’ve ever written (about 8, so not huge, but more than usual :D). It was definitely fun to do, and giving them each a distinct personality and approach to events. This is a wonderful overview of the show, and such good advice about composing a large cast of characters. My only addition would be to mention the characters of Anne Bonny and Jack Rackham, who have already become one of my favorite TV couples of all time. I think it’s a great example of giving the audience time to love the characters, both individually and as a couple. It’s interesting that you mentioned Deadwood, because I think Anne was used in the early episodes in a similar way to Calamity Jane–as a kind of Greek chorus. If it hadn’t been for that precedence, I would have been worried that Anne was going to get short shrift, but strongly suspected she would come into her own by the end of the season. That is exactly what happened. Anne and Jack together are funny and loving in a way that’s perfectly suited to their characters. Love the show and can’t wait for the next season! I love Anne and Jack as well. But trying to keep this post under 1K words made it impossible to mention everyone, unfortunately 😉 Thanks for stopping by! I’m currently writing a novel with three POV characters that spend a fair amount of time together, or at least in the same city. I tend to be okay writing a large cast of characters, but I find it difficult to decide who should get their POV chapters when. I often find them acting too passively in another characters POV, or sometimes in their own. I suppose I should go back and read the second book of Joe Abercrombie’s First Law trilogy, where he has three POV characters travelling with each other for the majority of the book. I have a pirate’s book published “Treasured Chest” (of course it’s a pirate’s romance novel, I’m a romance author after all) and there’s a large cast of characters, but in romance (as in most of the other genres) you focus on main characters and show only two POV’s (hero/heroine) and sometimes editors will accept a third POV that of a antagonist. But it’s possible to show the entire crew through the POV’s of two main characters or secondary characters again through the eyes of the MC. I watch Black Sails and wonder if Nassau really started from a port settled by prostitutes, thieves, and murderers, and nothing but a bunch of brothels where you can end up dead in a blink of an eye.